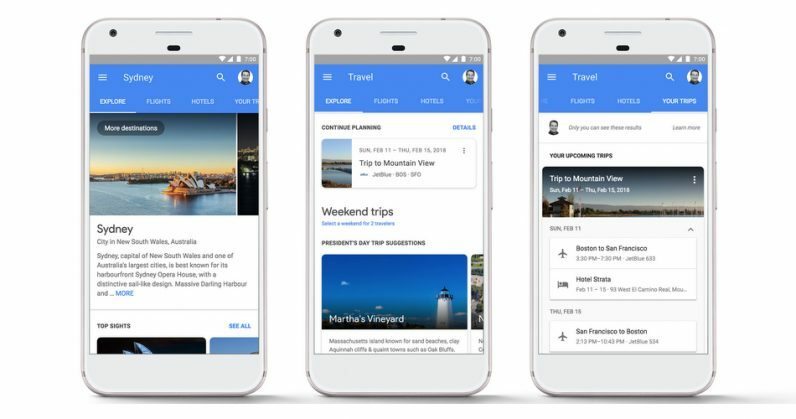 Google has been improving its search engine to make it easier for travelers to find flight and hotel fares for a while; it’s now going a step further with an update that lets you book travel and accommodation straight from your search results. That negates the need for visiting separate travel portals, and folks who just need to quickly book rooms and hop on a flight will certainly find it handy. The update comes just a week after Google began using AI to predict flight delays before airlines. First off, you’ll find an option in Google’s flight search to look up hotels for your destination, complete with pictures and a map view to spot accommodation by location and price. Alternatively, you can start your search with hotels or destinations instead of flights; all the information and listings you’ll need will be available in tabs when you’re browsing on mobile. And if you use Google’s excellent Trips app on Android or iOS to bring all your travel details into one place and plan your vacation, you’ll find a tab for that too; it’ll show you all your reservations on the search page. With that, Google is looking to steal your attention away from travel booking and review sites; you might still want to do your research there, but the improvements to the search engine make it easy to complete your ticketing in a pinch. The updates will roll out over the next few days in select countries.